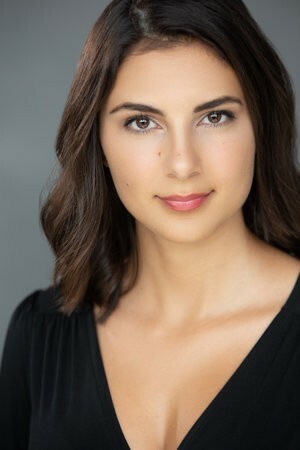 University of Cincinnati College-Conservatory of Music (CCM) student Elena Villalón has been named a Grand Finals Winner of the Metropolitan Opera’s 2019 National Council Auditions. After a months-long series of auditions involving more than 1,000 singers at the district, regional and national levels, a panel of expert judges named Villalón and four other singers as the winners of the 65th annual Metropolitan Opera National Council Auditions. Each winner receives a $15,000 cash prize. CCM student Elena Villalón has been named a Grand Finals Winner of the Metropolitan Opera’s 2019 National Council Auditions. A soprano from Austin, Texas, Villalón is a senior in CCM's bachelor of music program in vocal performance. Her undergraduate opera performance credits at CCM include the roles of Adele in Johann Strauss’ Die Fledermaus, Lucy in Gian Carlo Menotti’s The Telephone and Miss Wordsworth in Benjamin Britten’s Albert Herring. She studies with CCM Professor William McGraw. Villalón joins Houston Grand Opera’s studio artist program in the 2019-20 season, after being a finalist and winning the audience prize in the 31st annual Eleanor McCollum Competition. She has been a vocal fellow at the Tanglewood Music Center and at Houston Grand Opera’s Young Artist Vocal Academy. In addition to Villalón, fellow CCM-trained singers Joshua Wheeker, tenor (CCM Voice 2007-2012); Murrella Parton (MM Voice, 2017) also advanced to the Met’s National Council Semi-Finals this year. This marks the second consecutive year that CCM singers have “won the Met,” as CCM alumna Jessica Faselt (MM Voice, 2016) was one of five singers who won the 2018 Metropolitan Opera National Council Auditions. You can learn more about Faselt’s win courtesy of the Cincinnati Business Courier. CCM alumni and students frequently advance to the final rounds of the Met’s National Council Auditions, which is widely considered to be the nation’s most prestigious vocal competition. In 2017, four CCM alumni competed in the semi-finals, including Faselt; Summer Hassan, soprano (MM Voice, 2014); Andrew Manea, baritone (MM Voice, 2016); and Cody Quattlebaum, bass-baritone (BM Voice, 2015) — who was chosen as a finalist during that year’s national competition. Following the creation of the Met’s National Council in the 1952-53 season, the first Metropolitan Opera National Council Auditions took place in 1954 in the Twin Cities. For over 60 years, the annual competition has helped launch the careers of countless young singers, including some of opera’s greatest stars. Every season, over 100 former participants in the National Council Auditions appear on the Met roster. The district-level and regional auditions, held across the United States, Canada, Puerto Rico, and Mexico, are sponsored by the Metropolitan Opera National Council and administered by National Council members and hundreds of volunteers from across the country. Currently in its 65th year, the program has launched the careers of such well-known stars as Renée Fleming, Susan Graham, Frederica von Stade, Deborah Voigt, Lawrence Brownlee, Thomas Hampson, Eric Owens, Angela Meade, Nadine Sierra, Jamie Barton and Ryan Speedo Green. The competition garnered international attention with the release of the 2008 feature-length documentary The Audition, directed by award-winning filmmaker Susan Froemke, which chronicled the 2007 National Council Auditions season and Grand Finals Concert. You can learn more about all of the 2019 National Council Winners by visiting www.metopera.org/about/auditions/national-council-auditions/winners.